So Piper's been sold to Impiris, a company that looks after a fund of over $300m belonging to Brunei. While the financial details of the sale have not been released, American Capital Strategies, Piper's previous owner, has said that it made $31m out of the deal. Given that they started their dalliance with Piper (then New Piper) in 1998 with an investment of $20m, followed by a further $34m in 2003 when they bought the remaining shares, it seems that they have done very well indeed. So what now for Piper? Much of the motivation appears to have come from the need to supply the Asian flight training market with aircraft - a deal that most manufacturers want a slice of - we can only assume that the Sultan of Brunei intends to buy quite a few for himself, or that he can influence the decisions taken by other countries. Targeting the training market will reverse the strategy that Piper had been following. Their four-seat product isn't exactly flying off the line (sorry), in fact the Q1 GAMA shipping report (www.gama.aero) has no shipments for that sector at all. 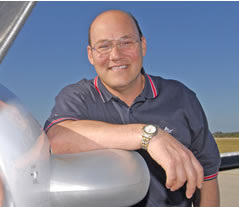 Jim Bass, Piper's CEO has previously stated that the future was with their six-seat platform and of course the Piper Jet. I hope that Imprimis has a long-term plan, and that they are willing to invest enough money for Piper to be able to develop the product line further.